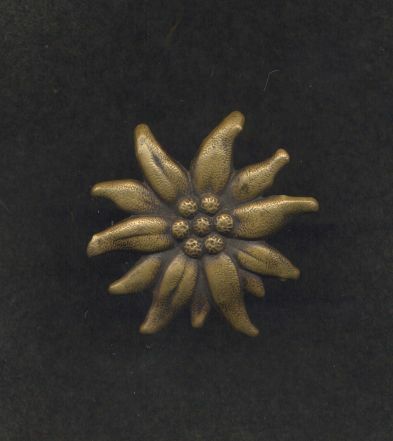 This is the only image of an Edelweiss being worn on a cap that I have. Unfortunately, it is not possible to discern the collar strap monogram or any other details. I wonder if the badge was positioned in the vent hole somehow? Correct me if I am wrong, but I have never seen an Edelwei? 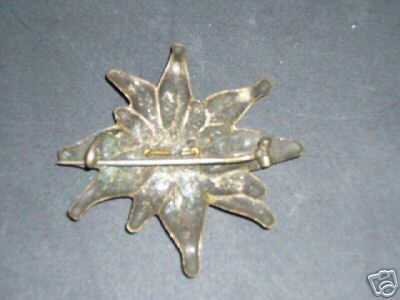 being worn on a Tschako. Now, I do know that they made Edelwei? 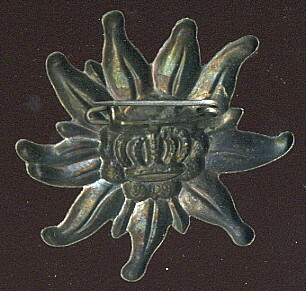 insignia with different types of prongs and pins on the reverse, some of which I think would work on a Tschako. Maybe only in the field grey cover then? The history of Jg.Btl.10 (Hann.) 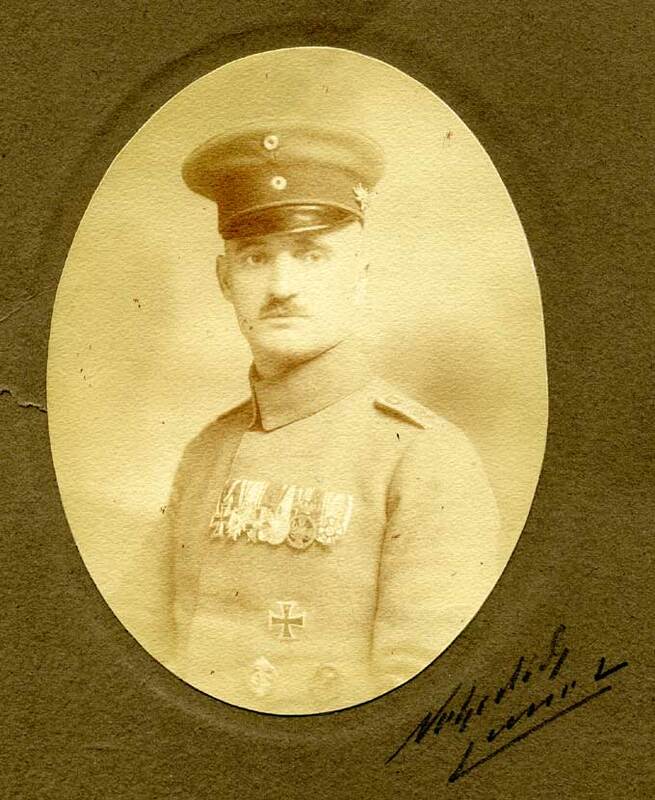 by Lt.d.R .F.Jung while fairly well illustrated shows only one picture ( a sketch) with Tschako wearing Jaeger at rest on campaign with the Edelweiss visible on three Tschakos. They are apparently fastened just behind the front visor and shlightly up. 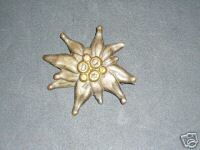 While the picture of this sketch is not large the particular shape of the Edelweiss can be easily made out. 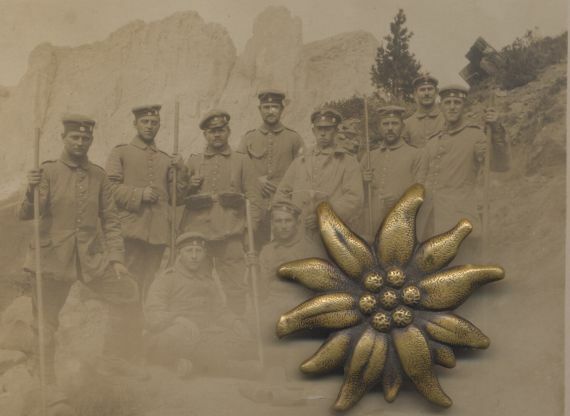 None of the other pictures show an Edelweiss in wear ,not on the Tschakos, Kraetzchen nor soft officers visor hats. That Hessian officer with the BZ3bX and SMK is driving me craaaaaaaaaaaaaaaaaaaaazy, David! Absolutely chicken scratch illegible: IGNORE that. 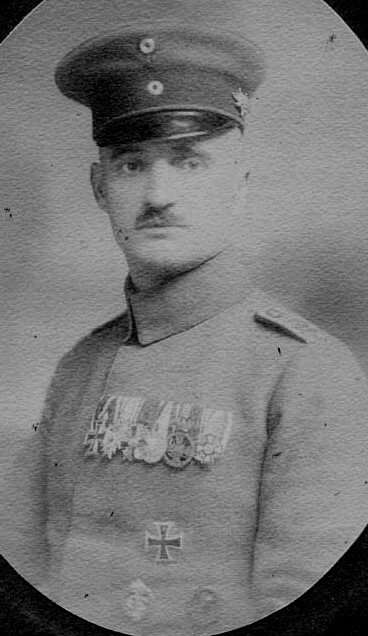 SMK 28 June 1918 as Oberleutnant dR in Ersatz Infanterie Regiment 28 and "Lehrer aus Bergheim Hessen." 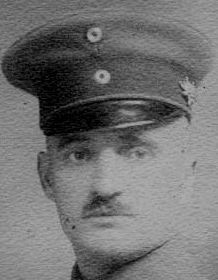 BZ3bX 6 July 1917 as Oberleutnant dR "Ers Inf Rgt." but HAS to be him. Anyone have a pic of a 100% good un? 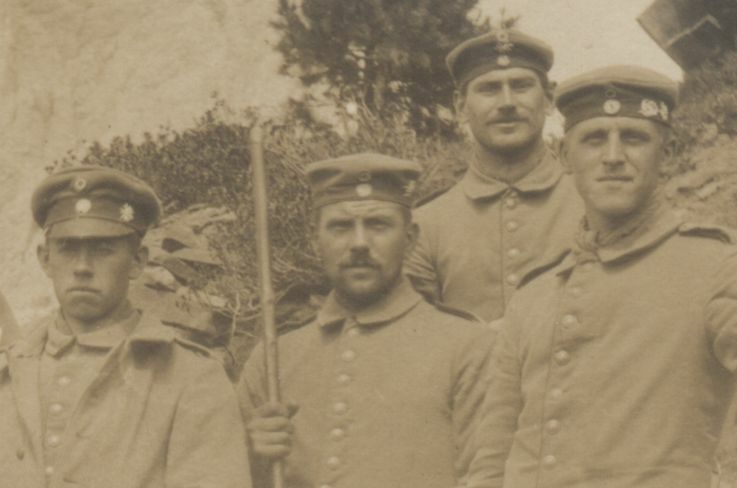 I was told long ago that many of the men in these alpine units had come from mountainous areas of Germany and thus, some were members of the Deutscher-Oesterreichischer Alpenverein and wore their association badge, which was nearly idenitcal with the badge given by the Austrian emperor. 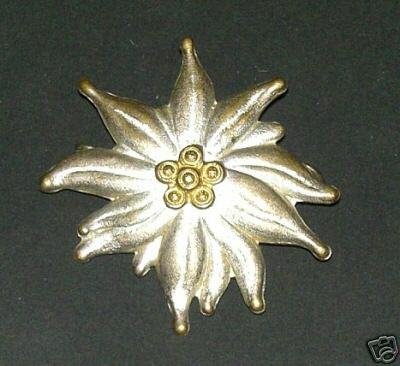 Chris, you can see that one of the badges you have shown has the "D OE V" stamped into the gold center of the flower. 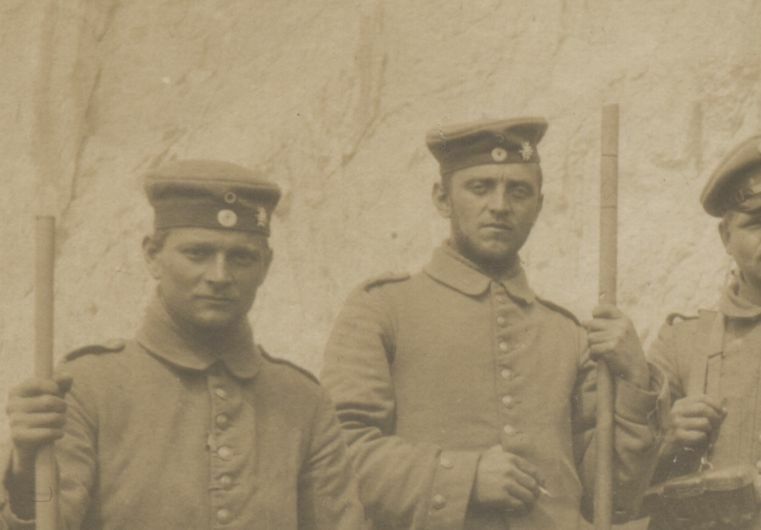 It looks like the Reserve officers of the two Bavarian battalions of the 3.J?ger Rgt. wore your Tschako too. 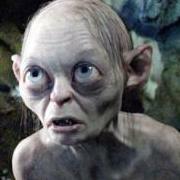 That is possible, or it may have been that it is an old photo of his time in a regular J?ger Battailon? 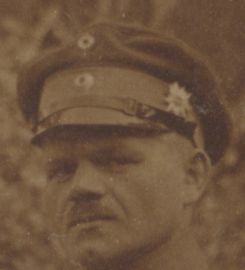 The guy whos Tschako I have served the last 2 years in the 31st Bavarian Infantry Regiment, but is still "Leutnant der reserve der J?ger" on his MVO4 awarded a year and a half after he left the J?ger. It would be interesting to find out more about his career path. 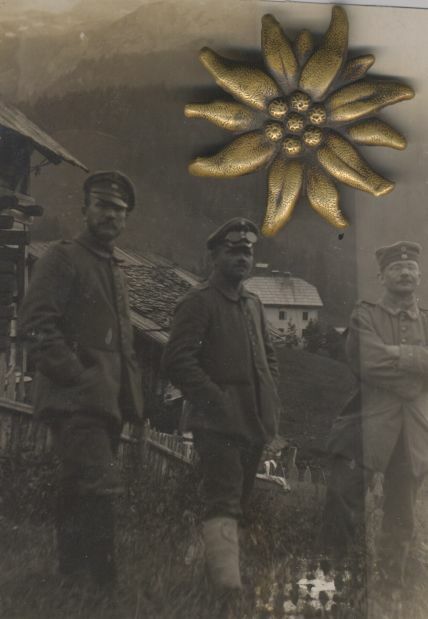 according to the Alpenkorps history, the Austrians gave them 20 000 of these badges. I assume that was the initial lot, and maybe guys added and changed and found others as they went along? I would guess that there must be variations and that they were all roughly the same size and form, but not all exact matches with badges from another maker? 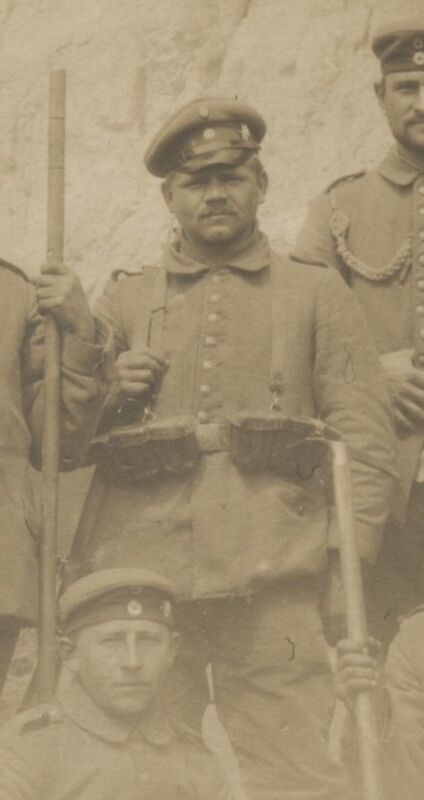 I am assuming it is WW1 Austrian issue, it was found in Bavaria, so maybe used by te Alpenkorps? 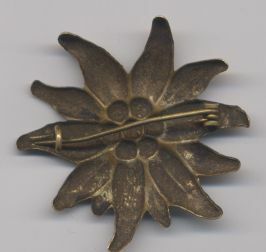 Or maybe civilian, although I assume civilian associations have some initials on them like the D OE V ? See the different ways of wearing it before they settled on wearing it on the left side.. Here is another one that I personally took off of a period salesman's sample board. 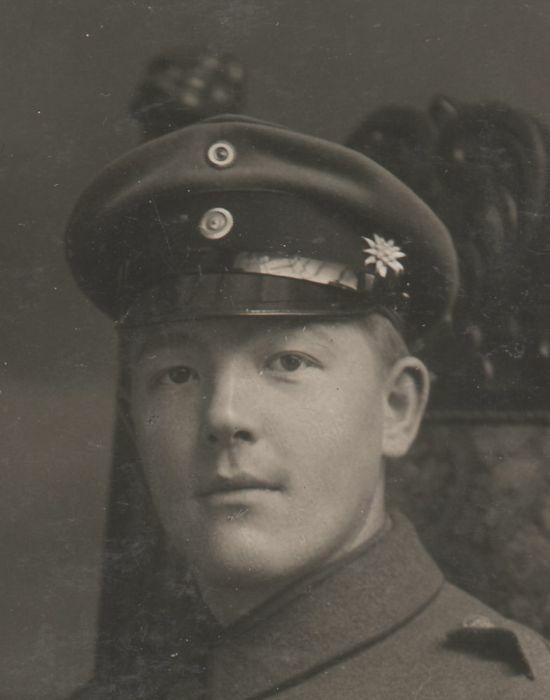 I was told it was worn by W?rttemburg mountain troops (thus the king's crown). 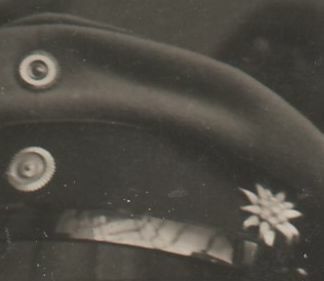 I have only seen one other like it and that one was pinned on an early Reichswehr cap (the one that looks like a Prussian Einheitsm?tze with a cloth covered soft visor). 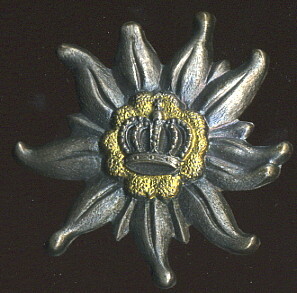 The crown is a good indication, I think, as to the period it was worn, but I have no other information about it. Wow Chip, I like that badge!! Can you add that to the list of items going to ME in your WILL? You know darn well that in order to take full advantage of my family's tendency for longevity, there will be no items placed in my will for collectors. Not that I don't trust them.